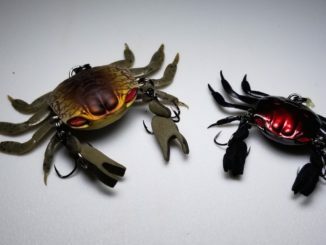 Anglers looking for something a little different will find it along the Charleston Harbor jetties and bridge pilings this month. 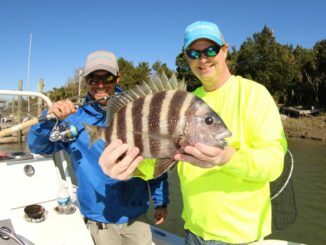 It’s a great time for sheepshead fishing. 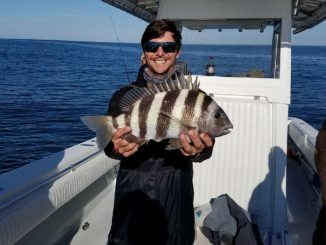 The sheepshead bite is going strong in the inshore waters along the coasts of both Carolinas. And from now until the first bitter cold snap, it is expected to only get better. 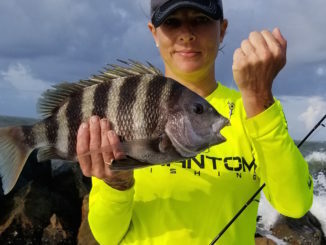 The middle of another Carolina summer is upon us, and while plenty of offshore and inshore options exist, it’s prime time to catch sheepshead around the rock jetties scattered up and down the coast. 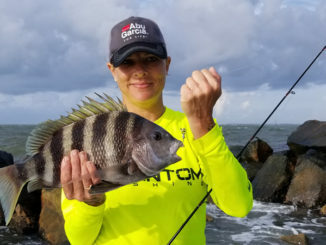 It’s a tough fish to catch, but the rewards –– both in fun and table fare — are definitely worth wetting a line for sheepshead, and the inshore waters of Beaufort, S.C., are full of these toothy bait stealers. 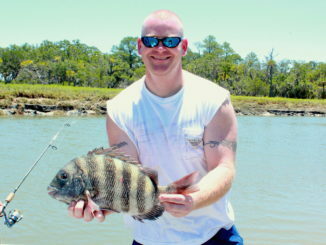 Sheepshead are a delight on the table. But all too many sportsmen throw them back, shuddering at the thought of cleaning a fish with more spines than a porcupine. 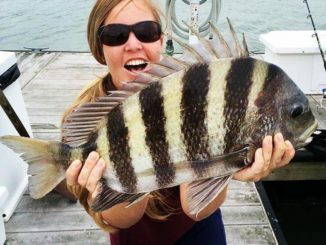 Sheepshead are biting in March around many of the reefs off the coast of Charleston, S.C, including the 4KI, Charleston 60 and Edisto 40. 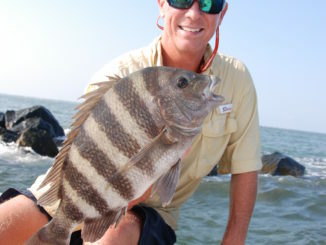 If they’ve got 25 to 60 feet of water on top of them, they are prime sheepshead holes this time of year. 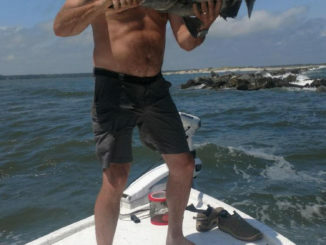 September brings cooler weather to South Carolina’s Lowcountry, and even before we feel it in the air, the fish feel it as the water temperature drops. 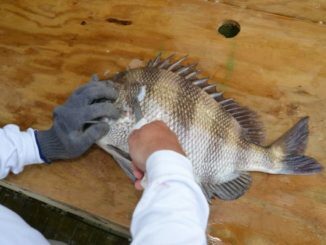 The cooling effect heats up sheepshead fishing in the Charleston area, especially around wooden cover. 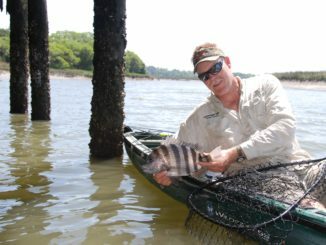 Using a plastic boat to chase sheepshead is an ideal method for taking the fight to the fish, especially during periods of low tide when overhead clearance under a pier or dock is maximized. 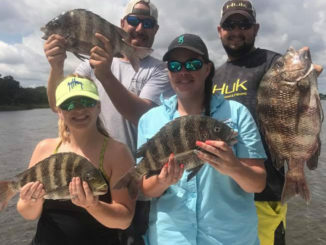 Stephen Fields of Charleston Fishing Company might prefer to be on a grass flat casting to redfish, but when the inshore waters in the Carolinas reach their hottest levels this month, one of his most-reliable targets for clients are sheepshead.